second time, and once again their opinion was that the cent was genuine. 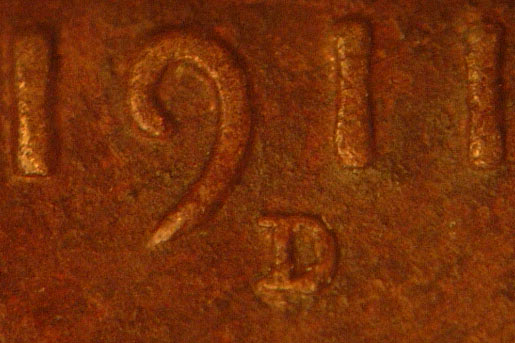 was not a composition of two coins, an altered date, or a tooled coin. 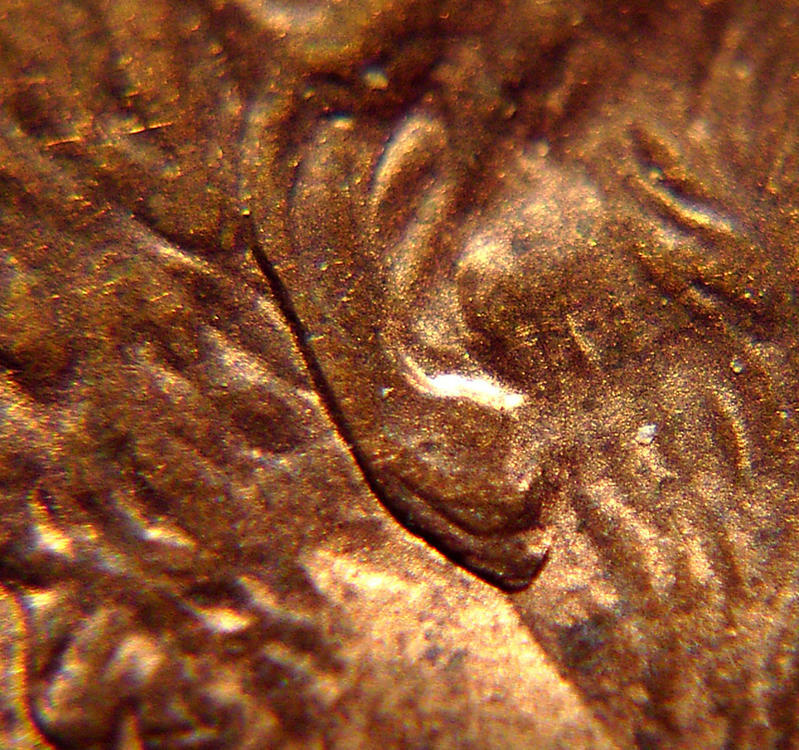 examined the coin with various opinions regarding its authenticity. disparaging comments about the coins authenticity with legal action. to the forger's claims. 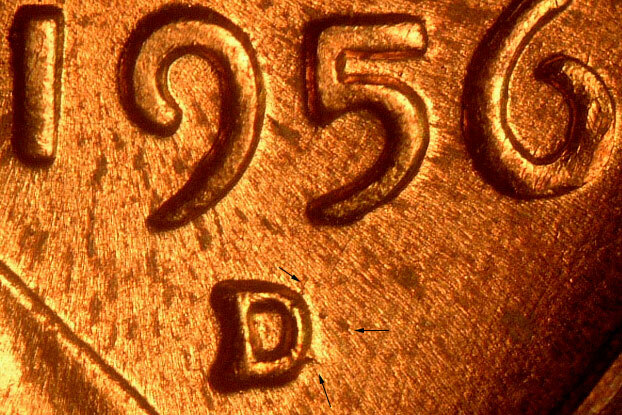 Eventually the coin sold for $45,000. "Mistakenly called an OMM by some" in their description of the coin. that this variety is in fact an OMM. John Wexler. This variety is also listed by ANACS. "This OMM has been delisted from the CONECA files. leans against it, so it has been pulled from the CONECA Master Listing of RPMs. punch available, therefore its significance must be summarily dismissed. a smooth and rounded image from a punch. What is seen is rough and angled. The middle line has a dot to the east, which is out of context for an S punch. level, then the upper line should be as strong as the lower and it obviously is not. and this does not appear to be the case." will just list it as 1956 D FS-511 which is the Cherrypicker's designation. 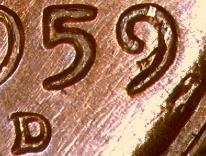 that the bar of a D mintmark can be seen in the second 9 of the date. that he is undecided about it status. #6. 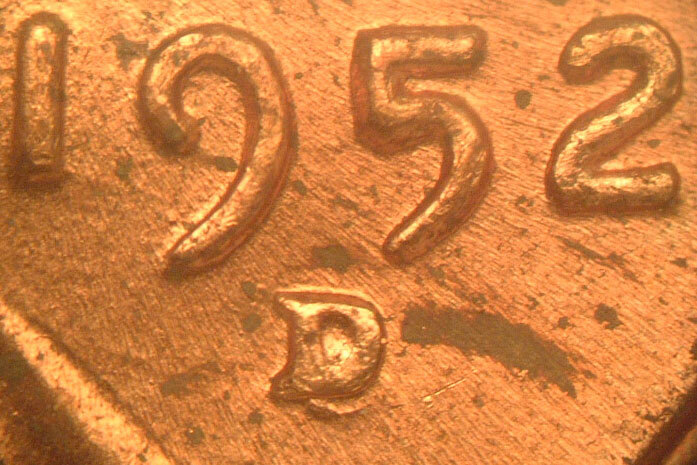 The 1997 Doubled Die Obverse 1 "Doubled Ear"
blank seating itself into proper position during the hubbing process". 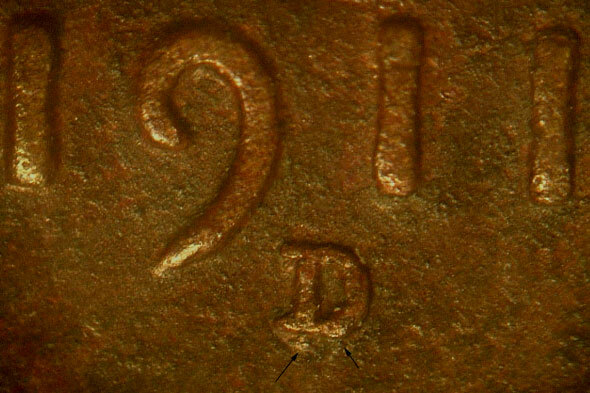 Potter also states that doubling is evident on the obverse in 15 places. variety has been more widely accepted. field. The article was Vol. No 2. July/Aug 2006 written by Billy Crawford. Also, ANACS no longer certifies this variety. #9 The 1992 DDO 1 (1-O-VIII) "eyelid"
currently listed in the CONECA master listings. 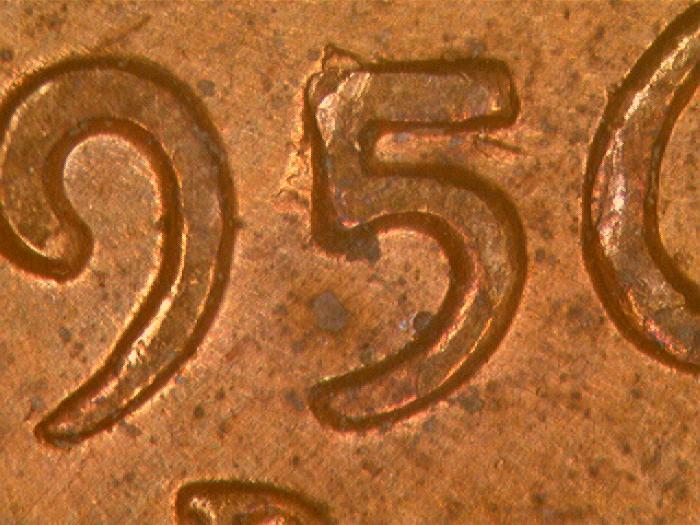 was originally believed that this was an example of a repunched date.